Artifice was originally released as a page-a-week webcomic. You can read it in its entirety here. 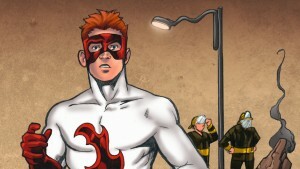 Alex’s current webcomic is the multi-chapter, superhero-thriller The Young Protectors. It updates every Wednesday and Saturday. And you can now pre-order The Young Protectors Volume One on Backerkit. Click here for more details! Both comics are intended for mature readers.